Who'd be a good Front End Developer? To be fair the intent of this post is to encourage anyone who is on the fence for becoming a Front End developer to get off the fence and make a decision one way or the other. You see if you sit there for too long you will miss some really good career opportunities. The post presents a very high level look at what a Front End developer actually is and why they are considered a hot commodity in today’s information technology job market. 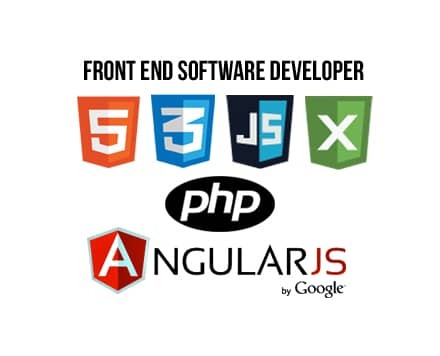 A front End developer is someone who is able to create a software application that runs on a desktop, tablet, mobile device or any contraption that you and I would interface with that creates an informational transaction for which a database might be connected to. The layman’s definition is important only in that there is a greater chance that someone who has not had a specific career path to date in a highly technical role might make for a really good Front End developer. You see a Front End developer could be considered as a more customer centric individual. Somebody who has an eye for personal touches, the finer details to what someone might like or dislike. This person might have good design skills, know color theory and technique. They may be very creative, entrepreneurial and kinesthetically aware of their surroundings and how things work together. Front end developers are able to lever the information they have to present a great message. They are “people pleasers” and friendly. Front End developers have a tendency to be good communicators and enjoy managing projects that are heavy in research and development. A good Front End developer is a key member of the technical “Geek Squad” in any organization and you would be surprised at how many individuals who are currently not in a technical software developers position could side step into this career path without too much pain. If you are still interested here’s some subject headings to whet your I.T. appetite. Become familiar with the industry standard design tools such as the Adobe creative suite. Learn key Tech acronyms and terminology. Join Tech social media groups and learn the jargon. Don’t be overwhelmed by the verbiage of the new community that you are trying to be a part of. If you are new to I.T. you are about to learn a new language. If you do not know the core subject matter for learning a new verbal language such as English to Dutch there will be some major challenges to understanding that new language. Becoming a software developer is very similar at first. That’s why I broke the definition for a Front End developer into layman’s terms. The chances are you already have some of the main skills in your knowledge base and all that is now needed is for you to learn some critical processes and new jargon and you will be well on the way to become an entry level Front End Developer.